Now is your chance…build skills and relationships, contribute your gifts…join a movement! 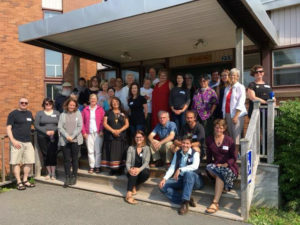 Location overview: Streams of Justice, the KAIROS Atlantic Gathering for 2019 will be held at Mount Allison University in Sackville, New Brunswick on the unceded and ancestral territory of the Mi’kmaq. Centrally located in the Atlantic region, Mount Allison is a half-hour drive from the Moncton airport. Shuttle service will be available from the airport to the Gathering. Single rooms accommodations are available for everyone unless otherwise requested. Ensuite washrooms are available on a first-come, first-served basis. To know more about how to get there and logistics, click here. Tickets for A Feast for Justice: Celebrating Arts and Activism available here. Everyone is welcome. 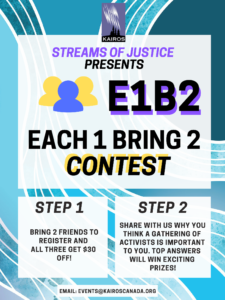 Streams of Justice will bring together experienced and aspiring grassroots activists (all newbies welcome!) from across the Atlantic. This is an intergenerational Gathering. That means that we aim to have half of the 200 participants be young adults (18-35). While those younger than 18 are welcome to attend, KAIROS asks that they be accompanied by an adult who will act as a guardian. Families are welcome, and childcare will be available for main sessions with advance registration. This is an ecumenical Gathering and all people are welcome, regardless of religious affiliation or no affiliation. A focussed theological component will be offered as a pre-conference event and in the workshop times. Gathering registration includes programming, accommodations and meals for three (3) days from Thursday supper, May 2nd to Sunday lunch, May 5th. A few spots are still available. Register by Apr. 24 to guarantee meals and accommodation. Subsidies of $100 available on registration tickets. Young adults, students, Indigenous people, persons from racialized communities, newcomers, people with disabilities, and unwaged, are particularly encouraged to attend. Partial subsidies – $100 each- are available for these communities and also may be possible for those with high travel costs (e.g., coming from Labrador). Contact Shannon sneufeldt@kairoscanada.org BEFORE you register, with the reason for your subsidy request. Attending with a team of people from your area will help you to bring the movement for peace and justice home with you. Find two or more people who live near you. 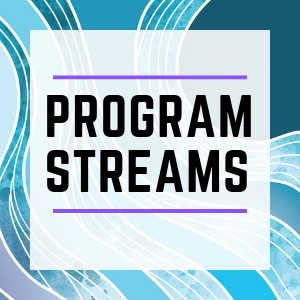 Agree to attend the same program stream or to divide up and experience different streams that you can later share. Make a plan to bring what you learn and experience back to your community. Register your team with an email to events@kairoscanada.org BEFORE you register, with “Atlantic team” in the subject line. 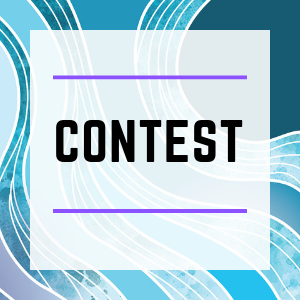 Enter the E1B2 contest for exciting prizes and discounts to attend the gathering. There are only 2 steps! 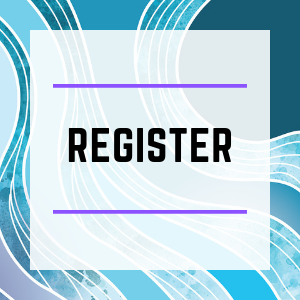 All participants are required to sign the Streams of Justice Gathering participant covenant and are expected to live by the Guidelines for Community Life as outlined in the covenant. Do you know of anyone who would like to support a stronger justice network in the Atlantic? Perhaps it is an organization or church. Perhaps it is an individual who can’t attend this gathering themselves or has the means to offer more support. Donate now! 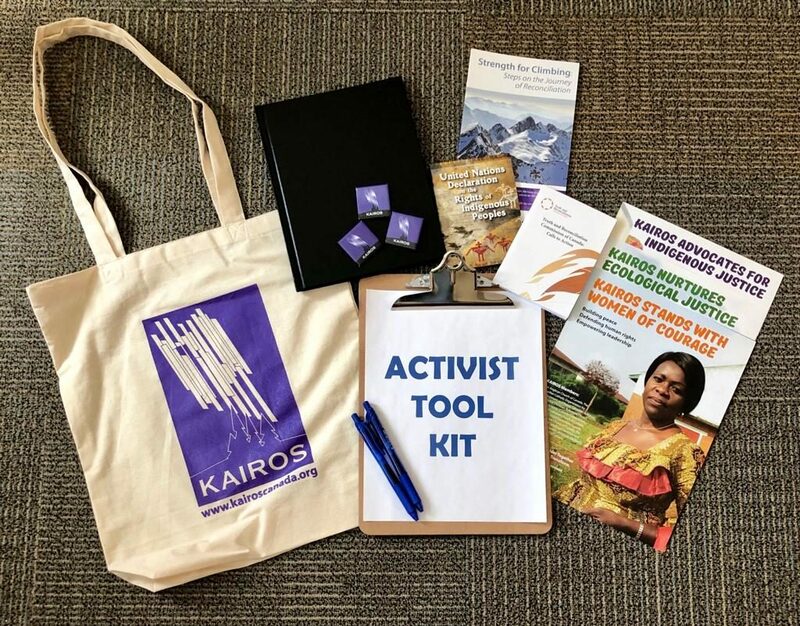 Donations can be designated to the KAIROS Atlantic Gathering subsidy fund. Churches and organizations are also encouraged to separately sponsor their own affiliates to attend. All ages are welcome! Everyone under 18 years old must come with a guardian. Teens are welcome to participate fully in the general program. Children aged 6 to 12 years will have their own special justice focused program, potentially including an off-site farm visit and food security lunch on Friday. Childcare will be provided for children ages 2 to 5 years old. All activity times in the overall program (with the exception of early morning and late-night optional activities) will be intergenerational or there will be separate children’s program/childcare options available. Children’s programming is complimentary with parent/guardian registration. Dormitory rooms are supplied with one single bed and linens for one person. Parents of those under 18 years are welcome to bring a playpen or mattress and linens for their child(ren) to share the same room at no additional cost. You may also choose to pay for an adjoining room – approximately $50/per night. 0-5 years old: Eat for free. 6-12 years old: discounted meals. Purchase meal passes upon arrival from Guest Services. 13 years and older: Regular prices for meals. Use regular registration link and choose either with their own accommodation ($265 each in a family or group of 3+) or meals only $130 for 9 all-you-care to dine meals and 2 snacks when you share a room with a parent. We have an exciting program planned for children that will compliment the Streams of Justice theme in the rest of the gathering. Anne Pirie is an experienced Godly Play leader and has pulled together a team of leaders with diverse skills and interests including visual arts, music, yoga, international development, Indigenous allyship and more. Plans are in progress for an off-site learning excursion and a food security lunch. See below for a few more details. The complete general schedule is here. Children’s activities and childcare will vary as follows. Theological Pre-event (Allyship Bible Study): Mixed childcare and children’s program for those 2-12 years old. Opening Evening Plenary: children welcome. Children’s leaders at activity centre available in the hall or nearby. Morning and Afternoon: all children 6-12 encouraged to attend this full-day, off-campus excursion. Special lunch included. Childcare will be available on campus for children 2-5 years old during the morning and afternoon. These young children should join their parents for lunch. Feast: children are most welcome at this festive evening including dinner, music, and a presentation from a KAIROS global partner. Our featured guest is a young woman from Colombia, Kelly Campo, who is involved with using theatre in youth activism. The children’s leaders will set up an activity centre in the Feast Hall for children and adults to visit whenever they want throughout the evening. Morning: children’s program (6-12) and childcare (2-5) on campus. 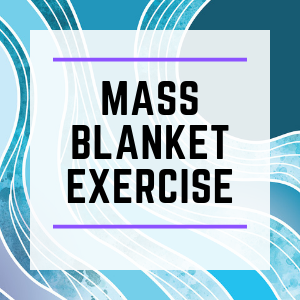 Lunch and afternoon: all children are encouraged to have lunch with their parents and then attend the Mass KAIROS Blanket Exercise together as a family. This is an interactive, outdoor (weather permitting) storytelling workshop about the relationships between Indigenous and non-Indigenous peoples in Canada. Late afternoon: following the Blanket Exercise the children’s program group (6-12) will gather for a check-in and final preparations for their Sunday presentation. Evening (7:30-8:30): optional children’s activity, possibly outdoors. A variety of social events will begin at about 8:30 pm and children are welcome to join in at parent’s discretion. Morning: The closing plenary session will include of a series of presentations by each of the participant groups or streams, including the children’s program. Children are welcome to sit with their parents or join leaders at an activity centre in the same room.